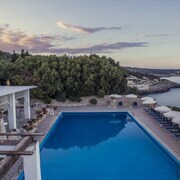 Where to find Felline hotels near an airport? 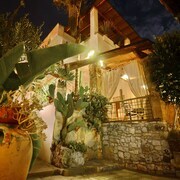 Where can I find hotels in Felline that are near tourist attractions? Staying in Felline? There's an extensive selection of hotels for tourists to choose from. Within our handy database you can find 47 long- and short-stay options within 0.1 kilometres (0.06 miles) of central Felline. Canny travelers who appreciate the convenience of booking a hotel close to the bright lights and action of the city's heart should check out the latest deals at the Camere A Sud and Hotel AL 2000, which are within 1 kilometre (0.6 miles) of Felline's downtown area. 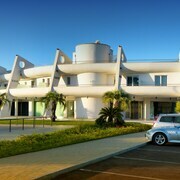 The Iberotel Apulia is 7 kilometres (4 miles) from downtown Felline. 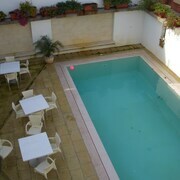 Another hotel is the Hotel L'Approdo, which is situated 25 kilometres (16 miles) away. Some other accommodation options worth checking out are the Palazzo del Corso and the Furnirussi Tenuta. Looking for more things to do? Consider spending a day or two discovering Museo Archeologico Provinciale Francesco Ribezzo and Monument to Italian Sailors, in Brindisi, 80 kilometres (49 miles) to the north of Felline. 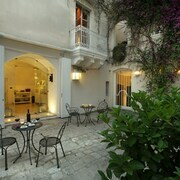 Brindisi hotels include the Santo Stefano Luxury Rooms and Palazzo Virgilio. Alternatively, you could stay in Copertino, 35 kilometres (23 miles) to the north of Felline, where you can choose from the Agriturismo Mele and Villa Casole Short Lets. The Copertino Castle and Sanctuary of Santa Maria della Grottella are a couple of the popular sites to explore should you visit Copertino. If sport is a favourite pastime, head to Stadio Via del Mare, which is 50 kilometres (30 miles) to the north of Felline. For tourists who are interested in staying close by, make a reservation in the Mantatelurè - Dimora Esclusiva or Suite Hotel Santa Chiara. Situated 80 kilometres (51 miles) away from Felline is Papola Casale Airport. 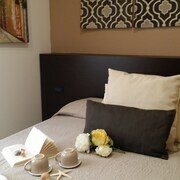 Stay nearby at Grande Albergo Internazionale or Hotel Nettuno. 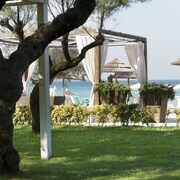 What are the most popular Felline hotels? Are there hotels in other cities near Felline? What other types of accommodations are available in Felline? Explore Felline with Expedia.ca’s Travel Guides to find the best flights, cars, holiday packages and more!